With the number of new STD cases in the US hitting an all-time high, taking care of your sexual health is more important than ever. If you have made the smart decision to get tested but cannot decide between EverlyWell and STD Test Express , we can help you make up your mind in a matter of minutes. View our detailed EverlyWell VS STD Test Express comparison below and find out which company can provide a higher quality of service and make the whole process less uncomfortable. EverlyWell features male- and female-centric at-home STD screening panels and many other tests related to health & wellness. The company was founded in 2015 in Austin, Texas. STD Test Express was founded way back in 2007 in Chicago, Illinois, and has since built a prominent status among STD testing companies for its discreet approach and high-quality service. EverlyWell uses a HIPAA compliant platform for data hosting, protects your communication with the official website with AES-256 encryption, and uses Stripe (a PCI compliant service) for payment processing. The company will store your record permanently unless you request otherwise, which you can do at any given moment. STD Test Express is a HIPAA compliant company that highly values your privacy and exercises complete discretion regarding your testing. Your credit card statement will spell "APG Services," so no one can know you got tested. STD Test Express will never sell or share your information with third parties unless required to do so by law. So I purchased the std test, was easy to use and get the samples needed, Days later I get a call saying im positive on Herpes 2, of course I was in shock and the lady on the phone was compleately unsesitive about it, every question I asked seemed to bother her, I asked how reliable this test was and she told me "you have herpes ok, you have a 2.1 and anything over 1.1 is considered a positive, so you have herpes ok", which I found extremely rude, people giving those results need understand how sensitive the subject is. After hanging up I started doing alit of reserch, and found that a positive between 1.1 and 3.5 have 50% chance of being a false positive, 50%!!!! You would think a company that does this testing would know that, an would understand how dangerous is giving a false positive, there is a reason why the cdc doesn't recomend this tests to patients without any symptoms. Anyway after finding out this I called to ask my value (because I couldn't remember and you don't get a detailed report on your test), and nobody seemen to know what I was talking about, they kept transfering to diferent departments and many didn't even knew what kind of test it was, finally after week and a half and talking to someone different every day finally someone gave me my value, a week and a half with the stress of thinking I might have herpes! I went to my gynecologist and explained what happened and she told me to compleately discard that and if I ever had any symptoms then to go to her and get tested. And this was only for one of their many tests, if they didn't do their homework with one test I wouldn't trust any of the other tests they do, just keep your money and go to a doctor. Good service but I needed information during the weekend and I really couldn't handle the enormous faq. Quick, precise service and very pleasant staff. Ordered testing on a Monday, went to the lab on a Tuesday and was not contacted until the following Wednesday to let me know the lab messed up a specimen for the Trich that takes 5 days to come back. Working in medicine, I am very understanding of issues like that and know that the labs error is not a reflection of this company as they are simply the middle man in ordering the tests. Since it had been about 9 days I called the company to ask for the results of my other tests as this was a very stressful waiting period for me. Care representative on the phone was very nice and understanding but informed me that without the results for the Trich test, my testing was not considered complete and would not be released. Unable to bare the stress of waiting another 5 business days, I had to cancel that test completely in order to receive my other results (could place another order for the test at a full price). This is a policy that needs to be changed for the benefit of your customers and potentially public health had any of my results been positive. The Worst experience of my life. After providing blood sample my was in pain and the next day I had a bruise on half of my arm. This is the frit time I have such a big hematoma, and my arm still hurts. The worst part after waiting 5 days for results I receive a message “The laboratory is unable to process at this time due to insufficient sample.” I provided 2 test tubes of my blood by the way. Had to call multiple times, to explain the issue. Supervisor always unavailable they promise to call back but they do not. Had to provide another blood sample at different lab but after 3 days waiting still not getting a result. Waste of money, waist of valuable time and were injured. If I knew I would just go to my physician doctor where results are ready in 2 days, and I never had issues like that. Quick results and a very knowledgeable support team. Really good prices that allow people to test more often. EverlyWell is a provider of at-home STD testing options from Austin, Texas. The company was launched in 2015 and has made quite the name for itself in the last two years. Apart from STDs, it also focuses on preventive medicine, health, and overall wellness. 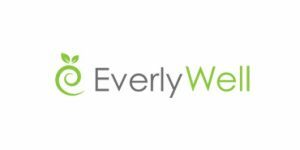 Read our in-depth EverlyWell review to learn more about the company and its business approach.